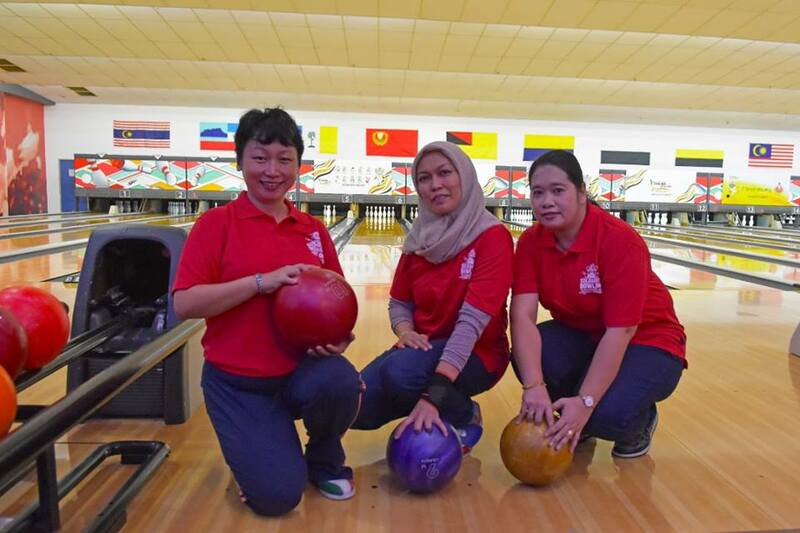 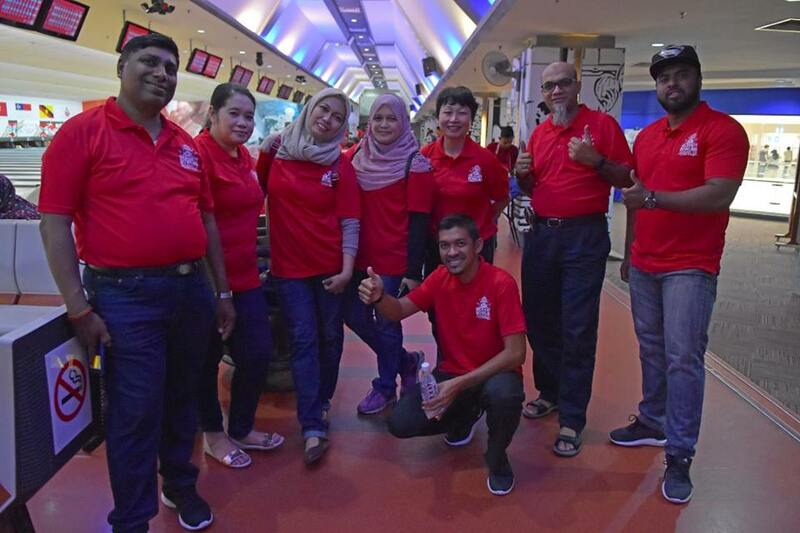 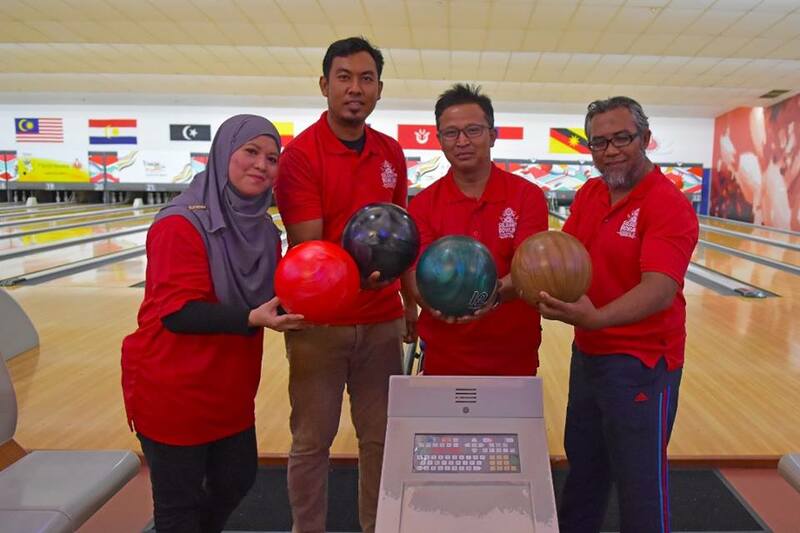 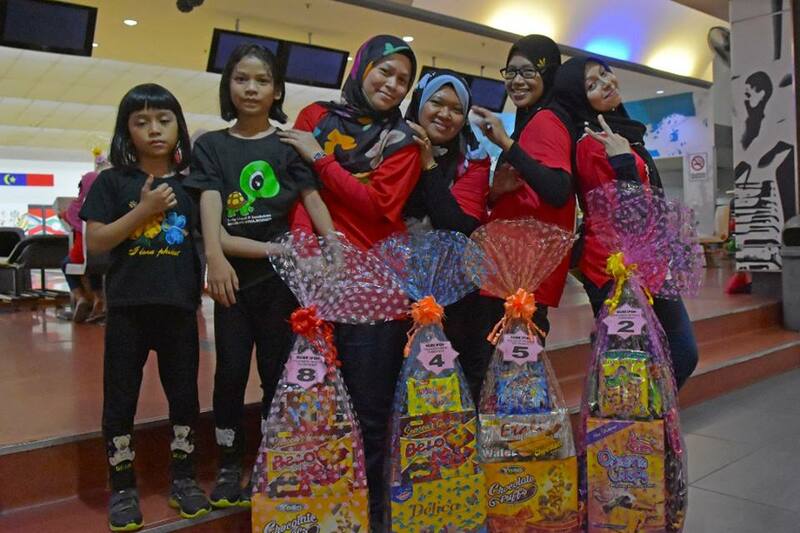 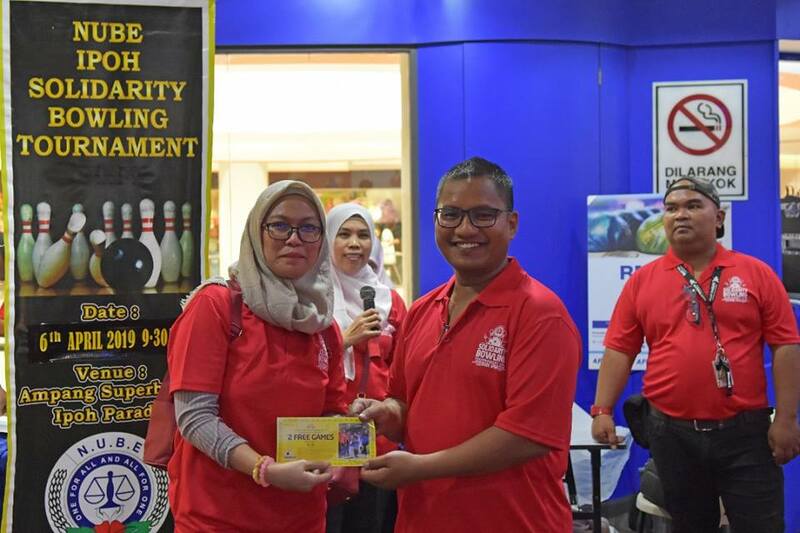 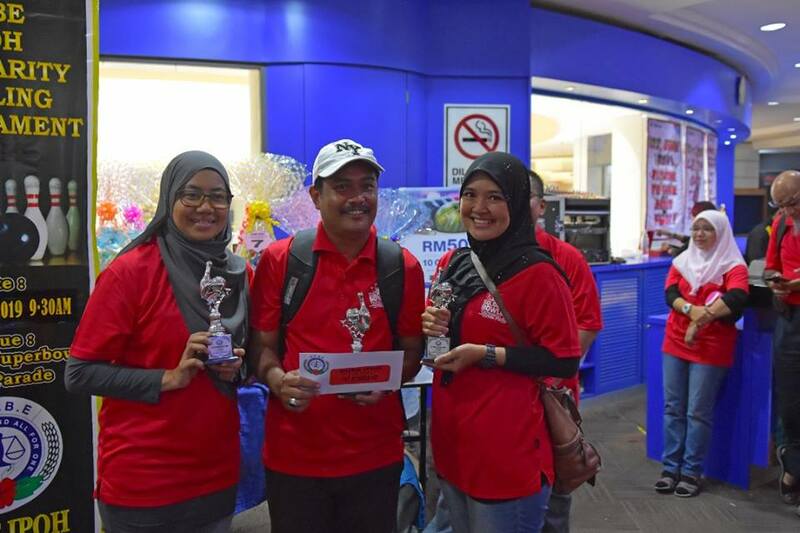 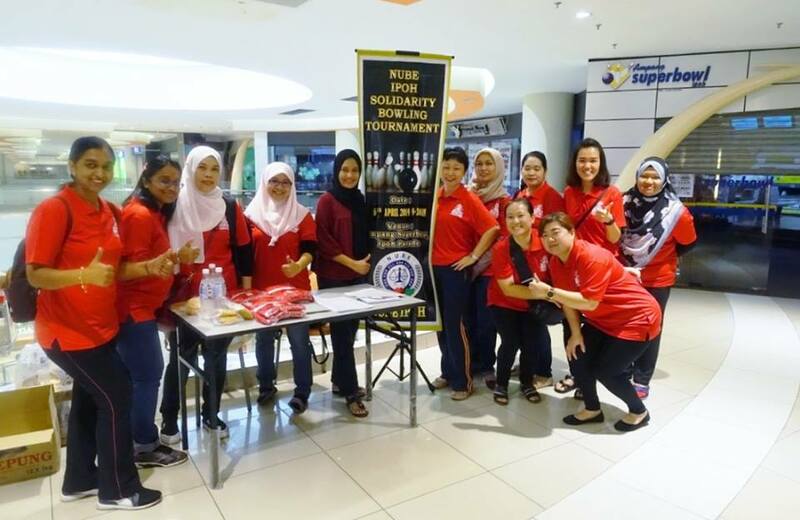 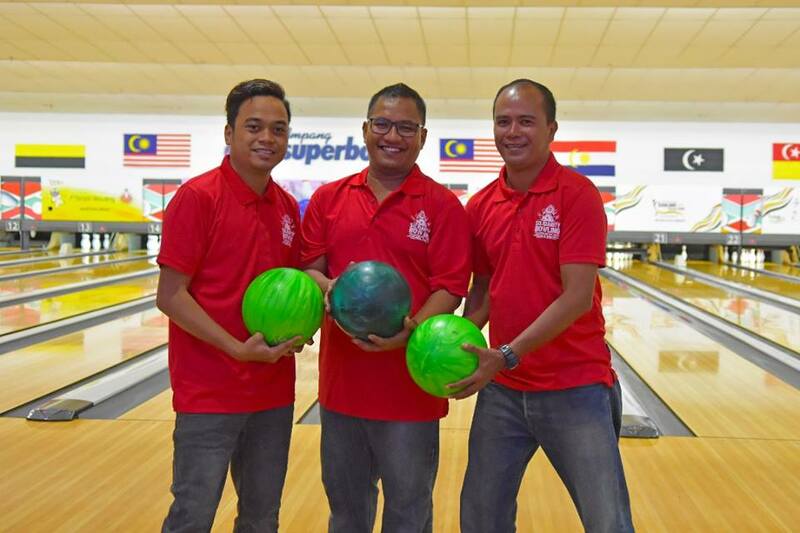 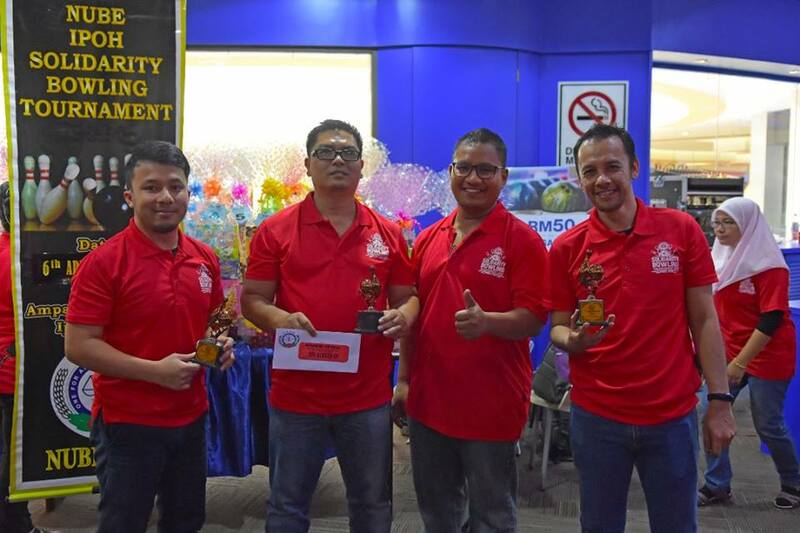 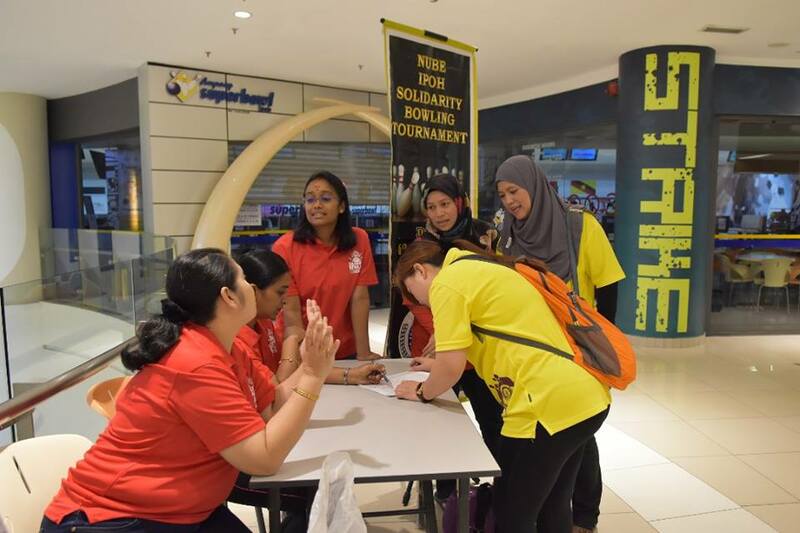 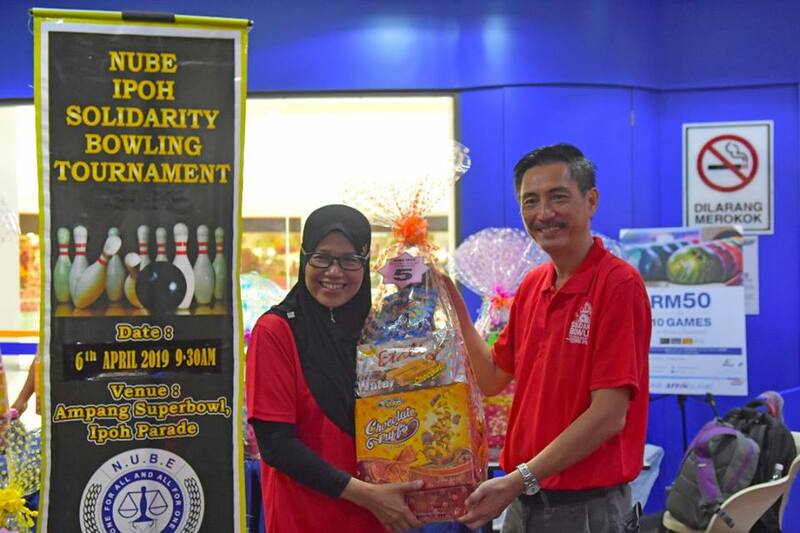 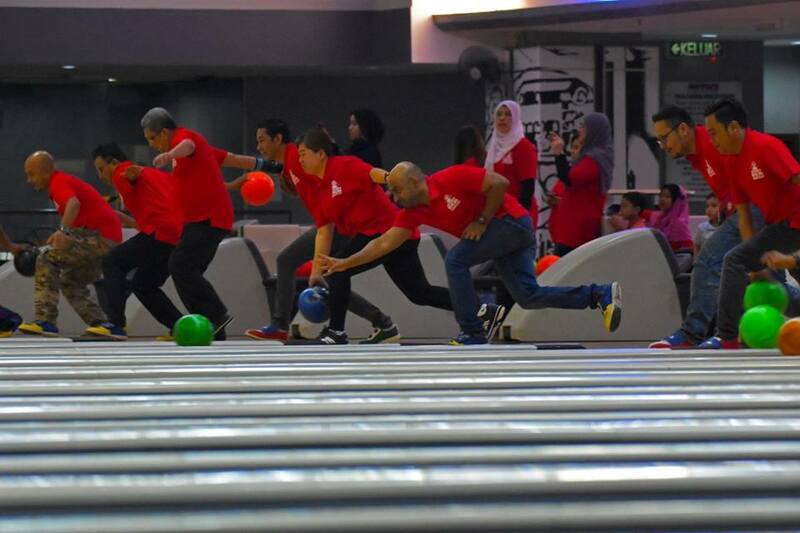 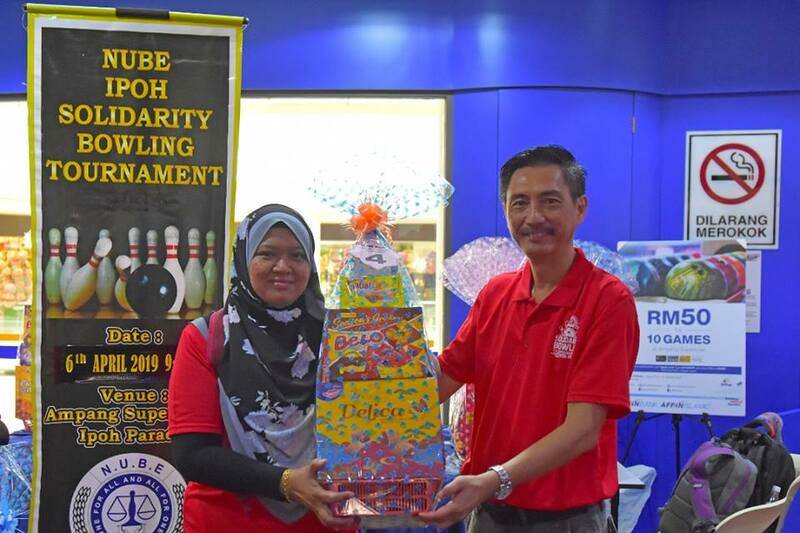 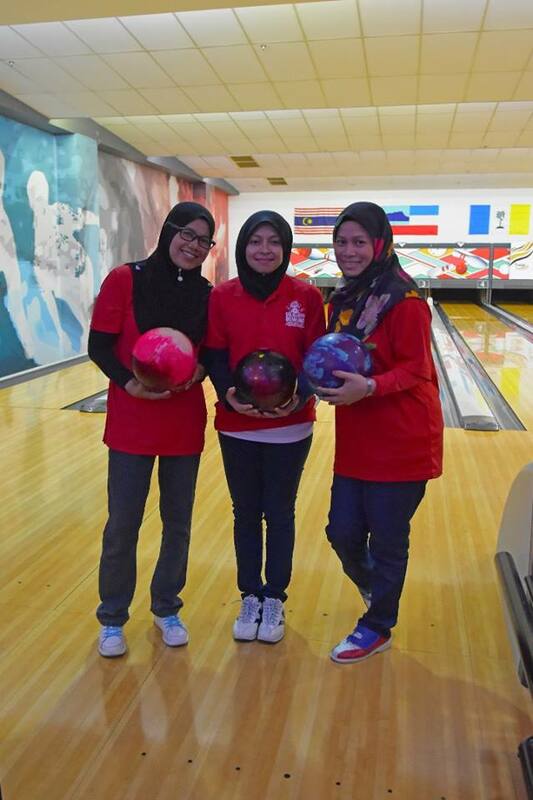 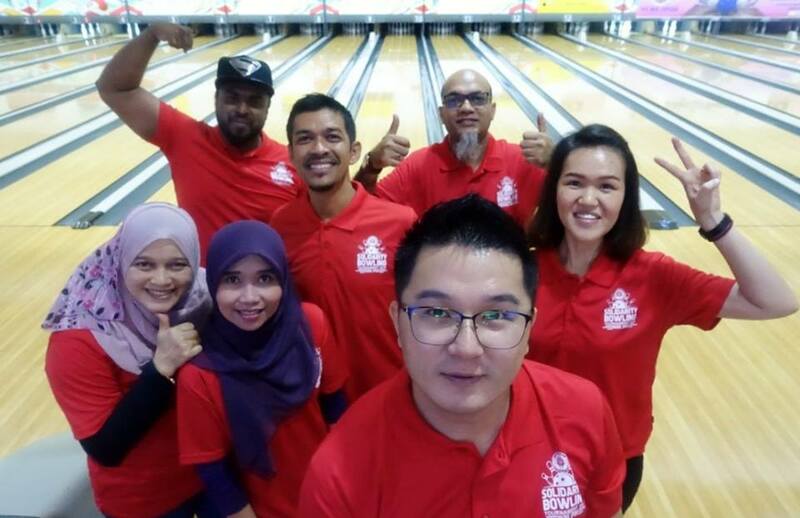 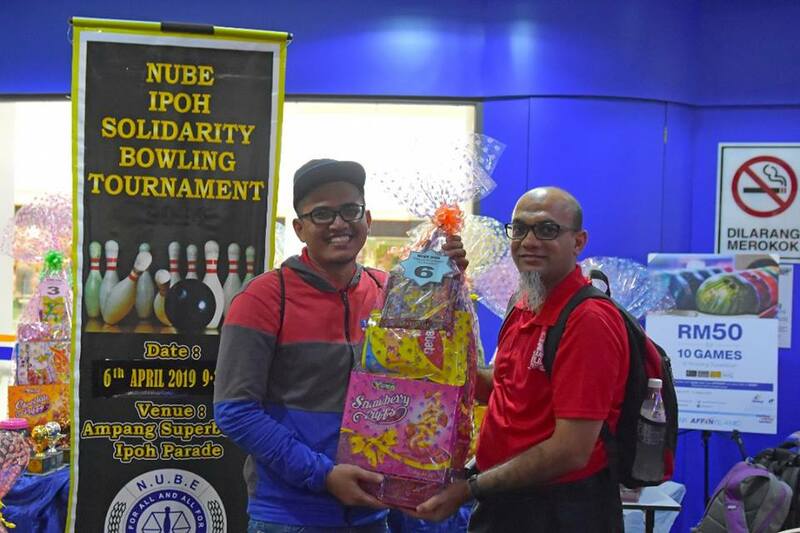 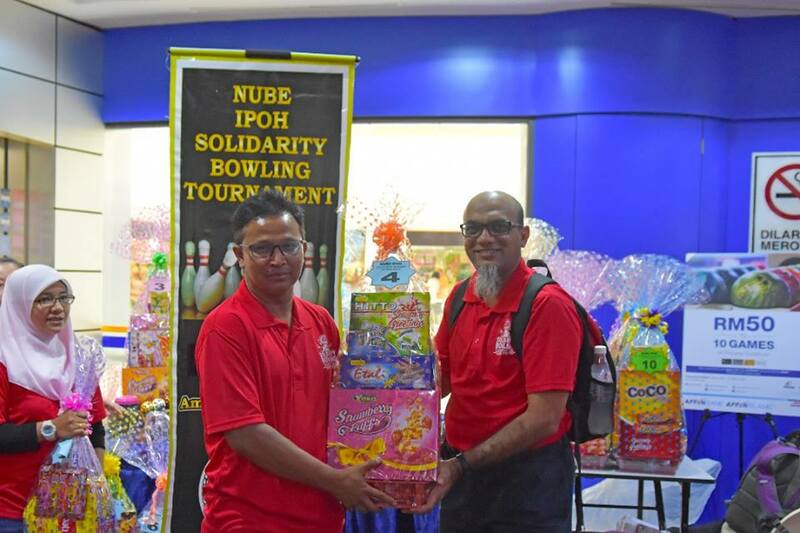 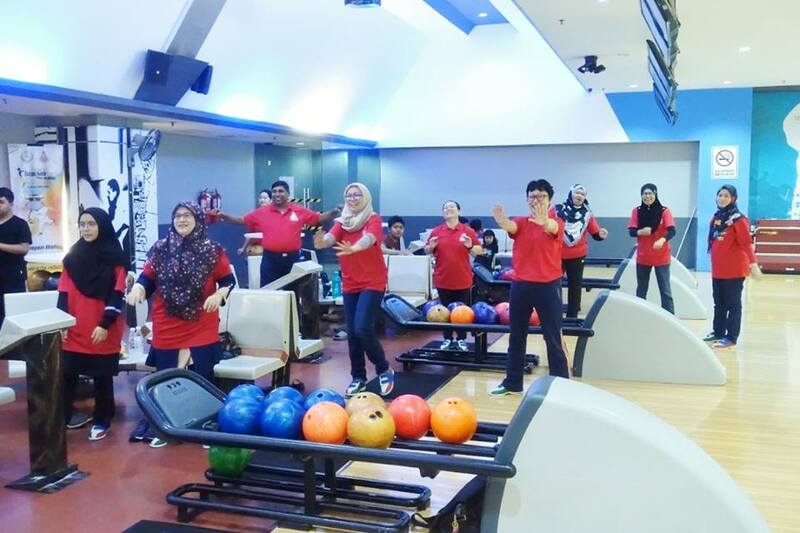 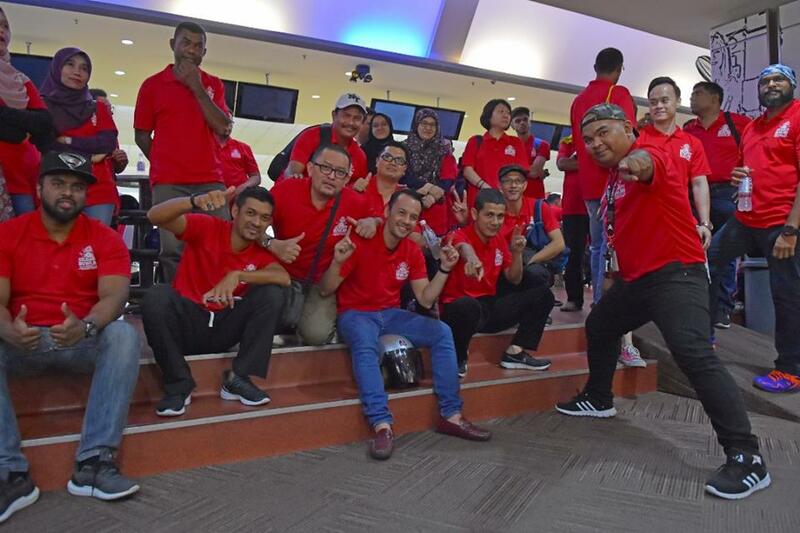 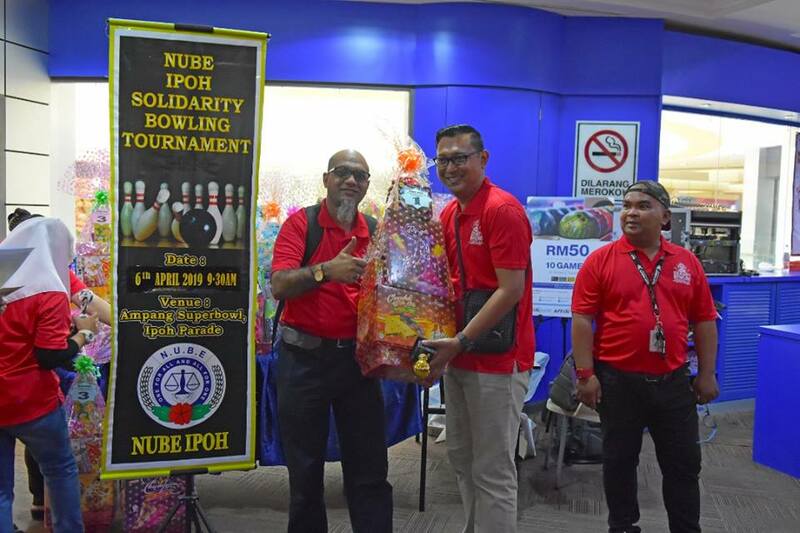 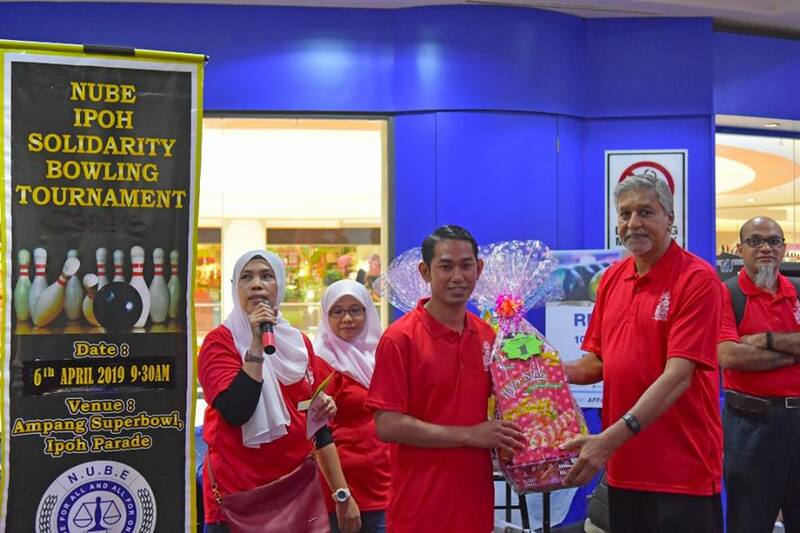 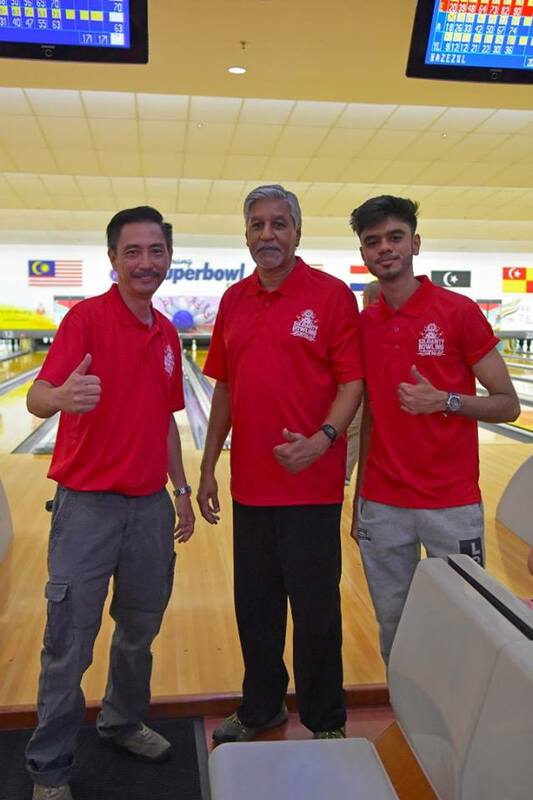 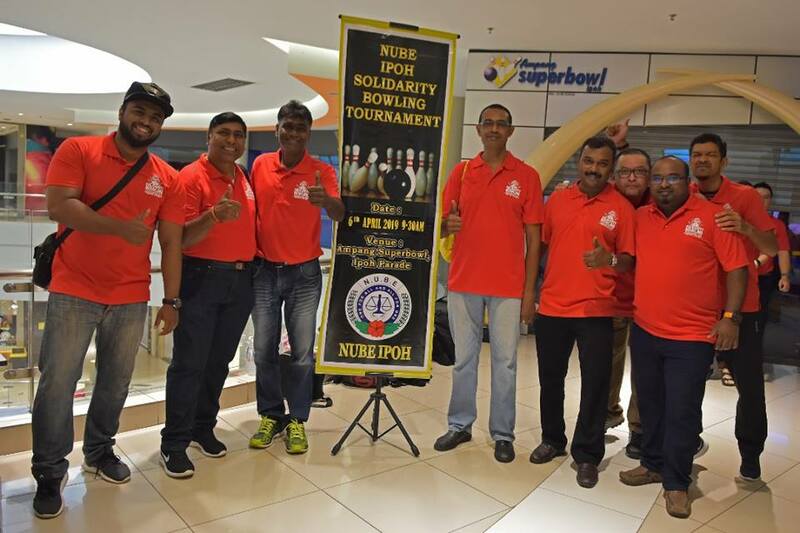 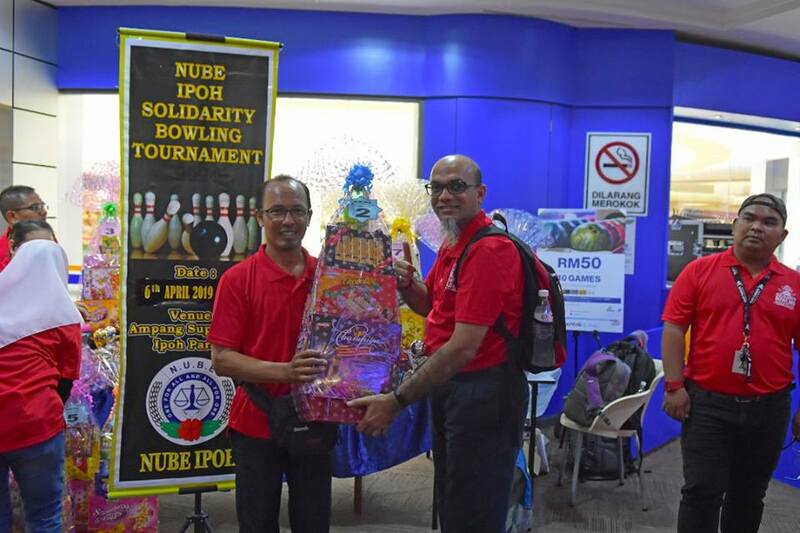 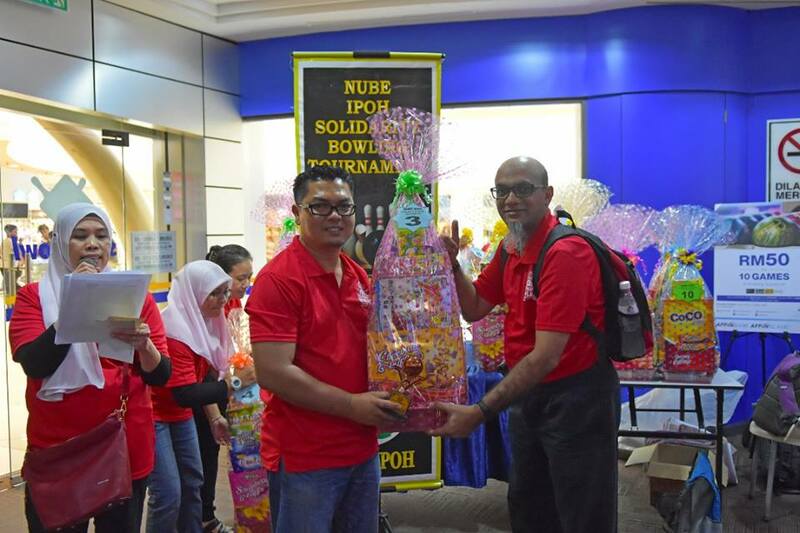 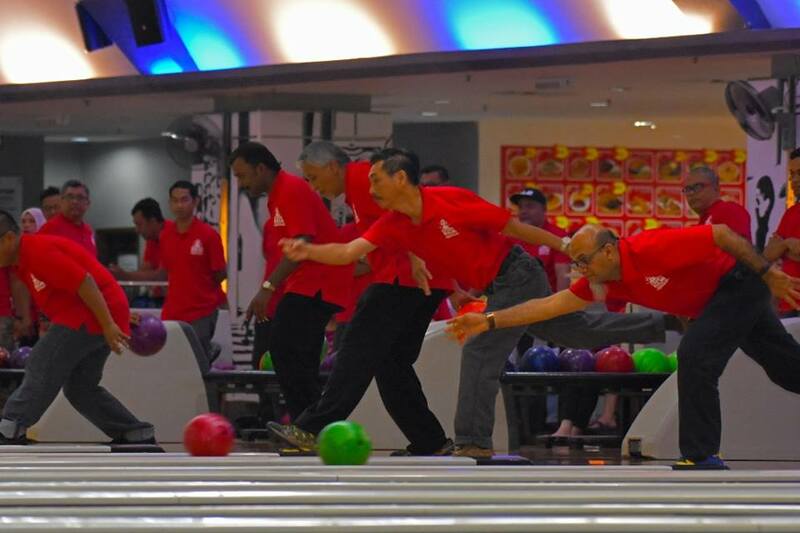 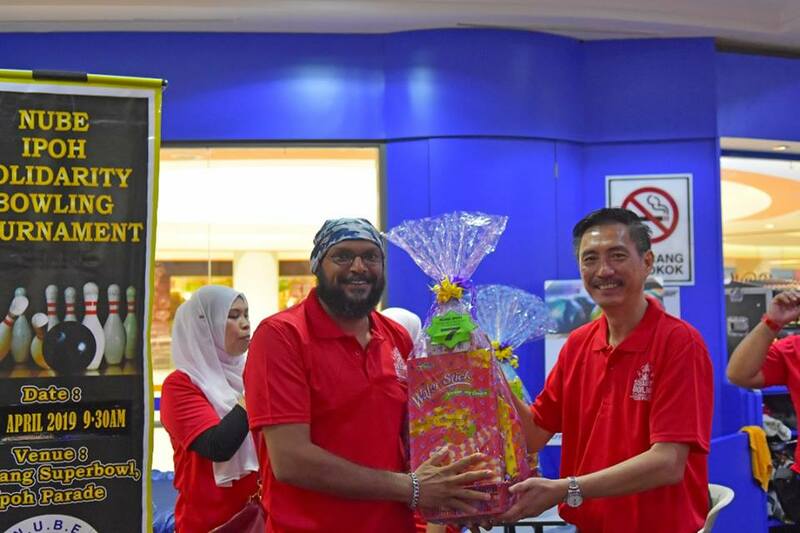 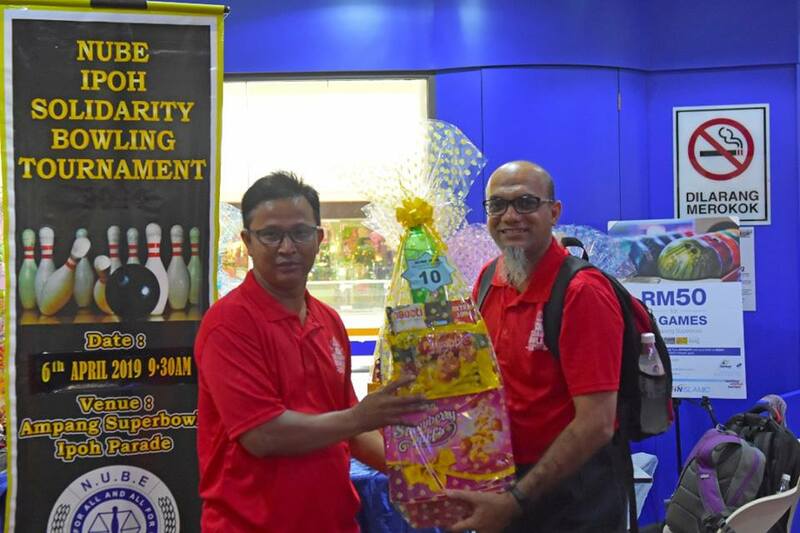 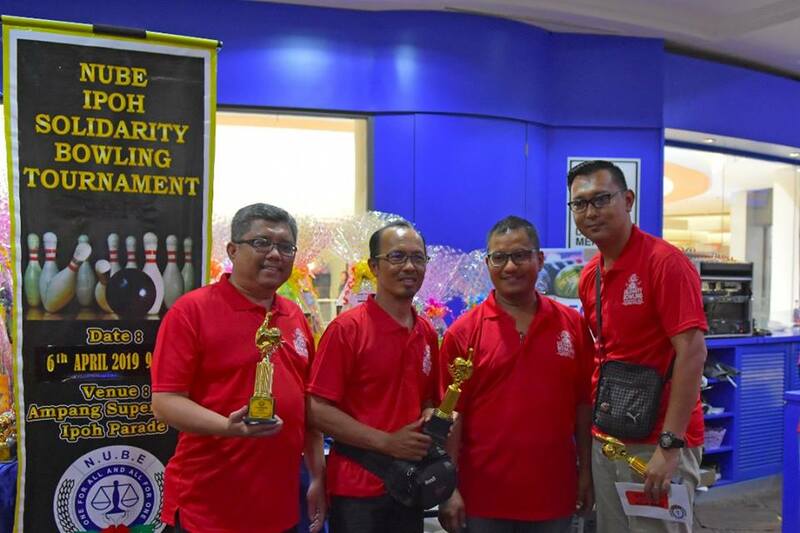 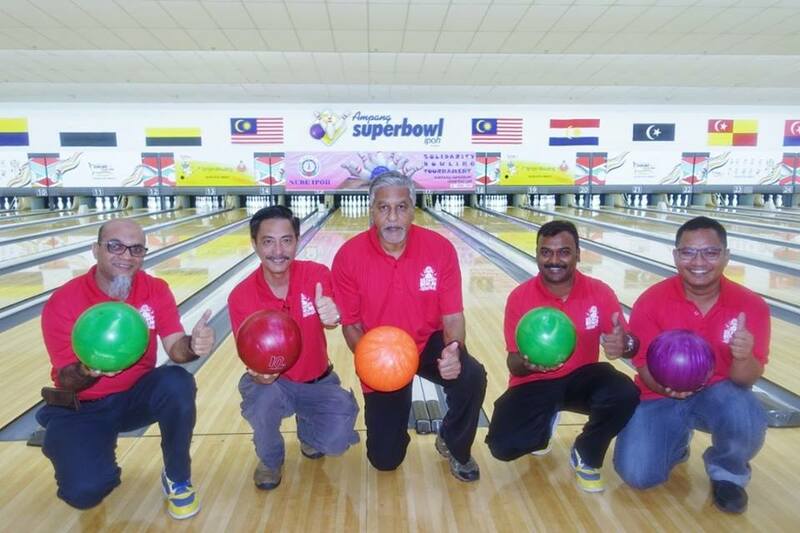 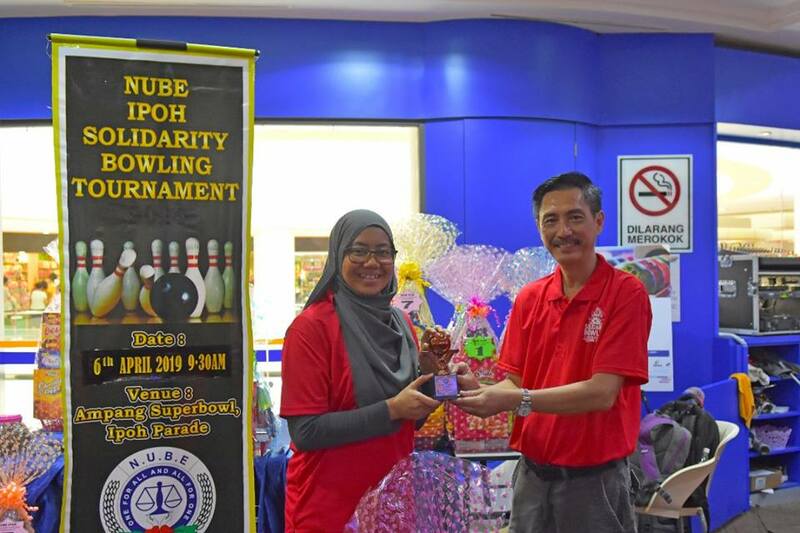 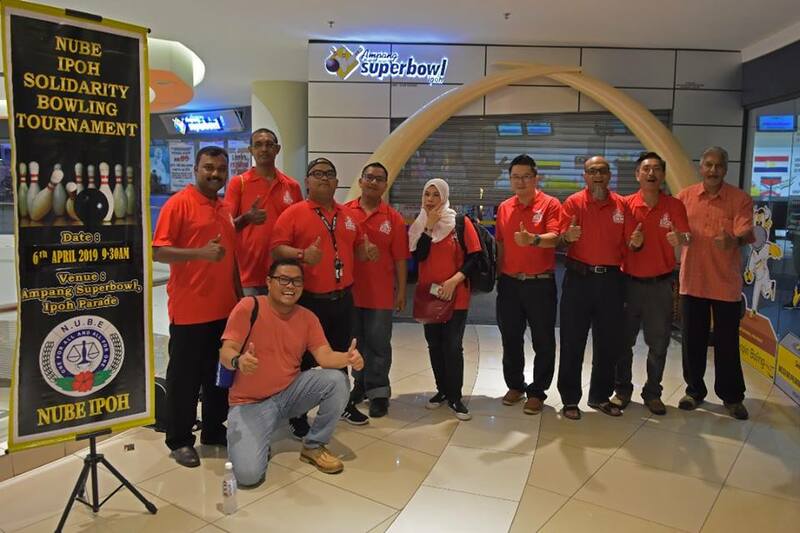 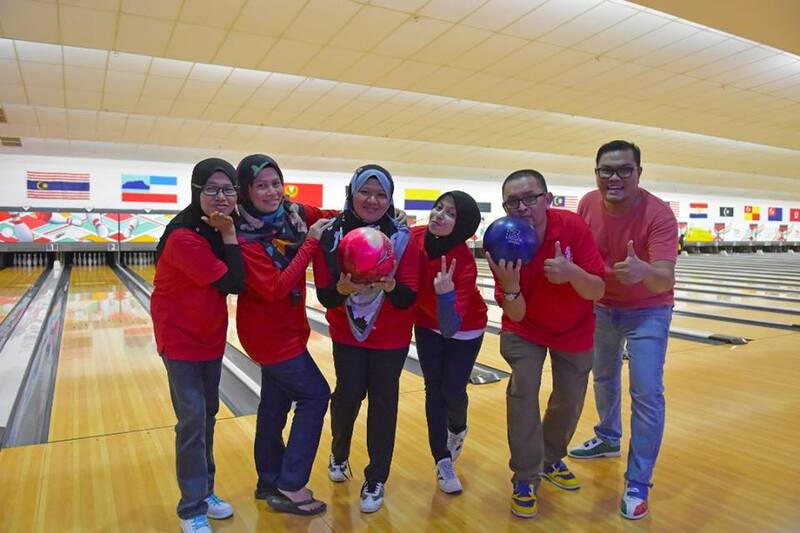 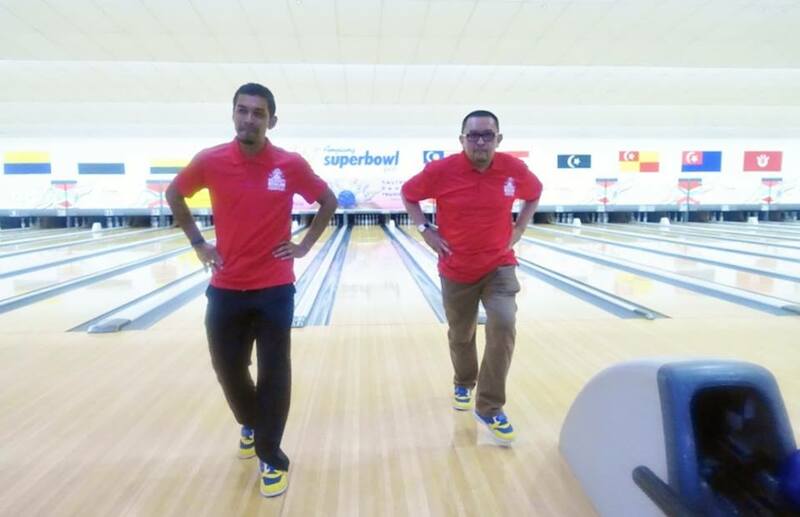 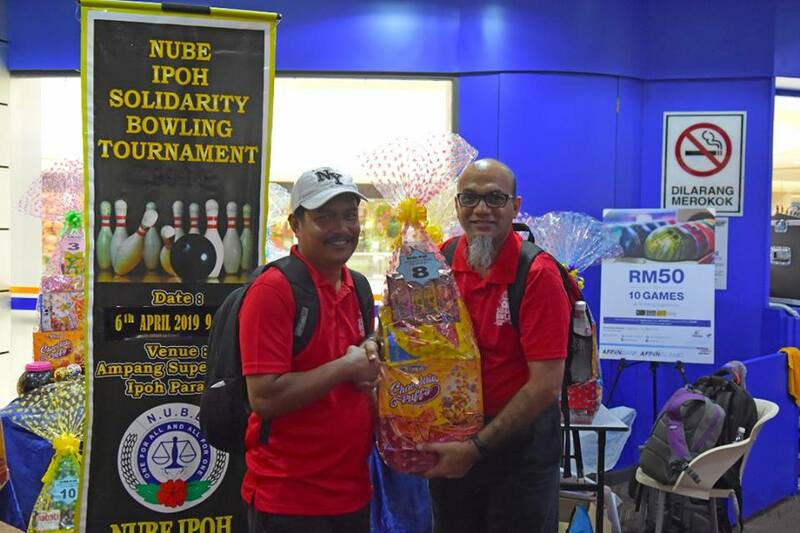 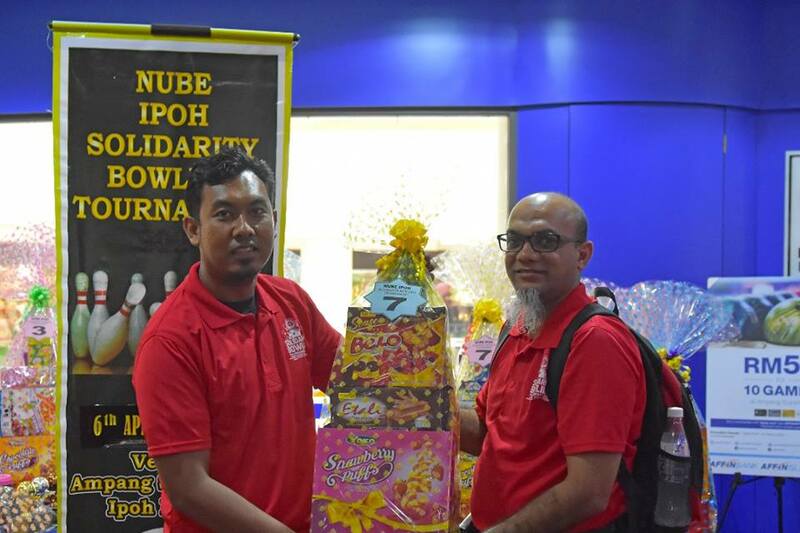 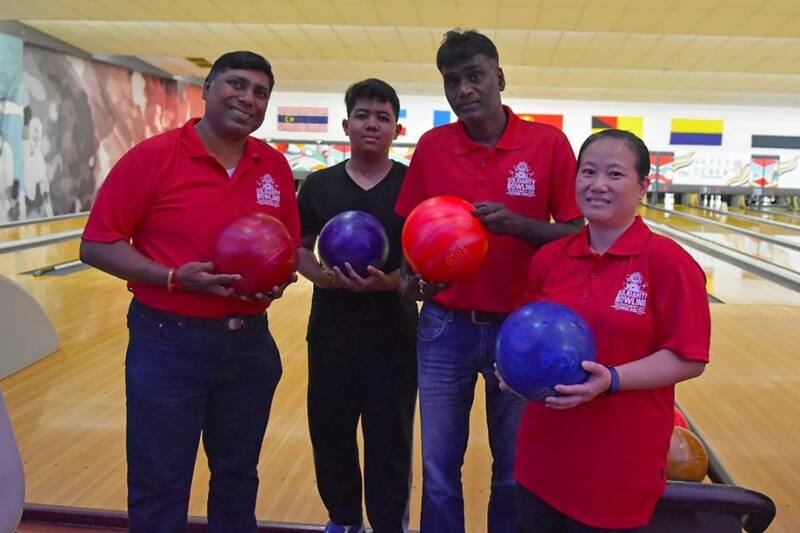 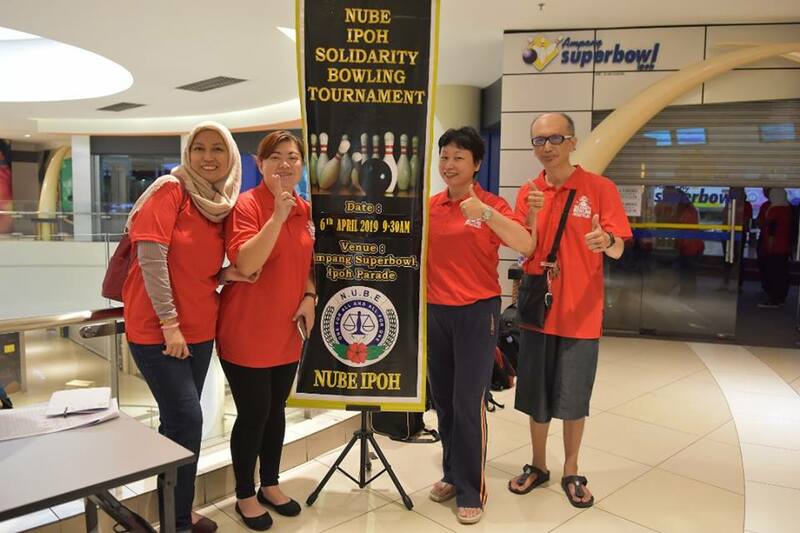 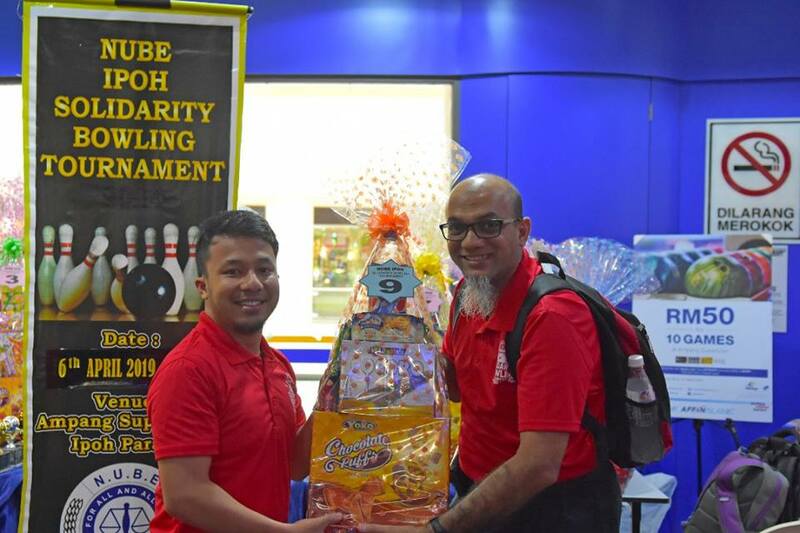 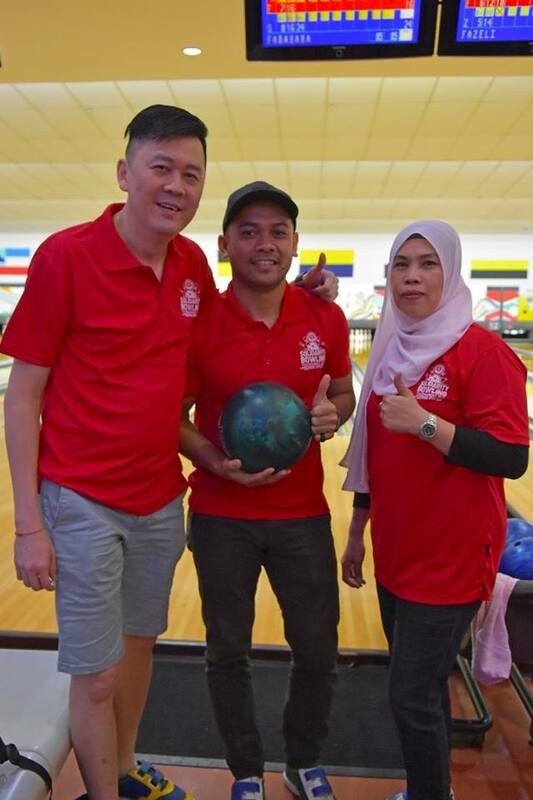 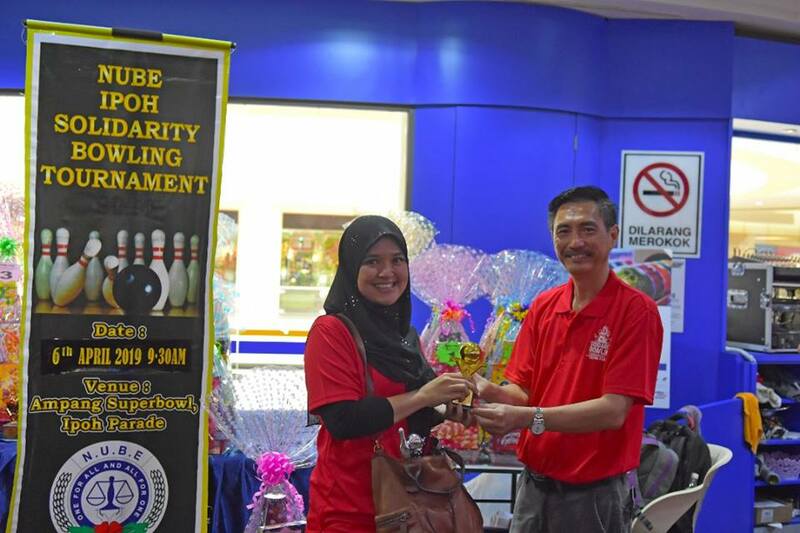 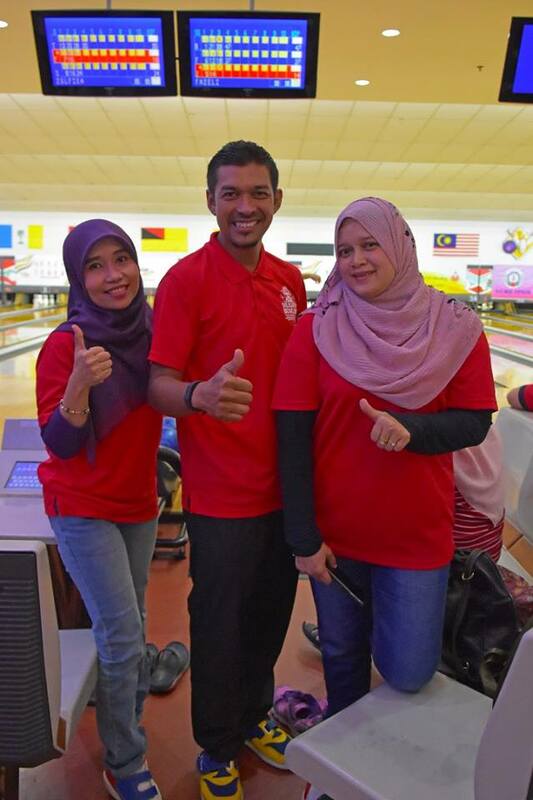 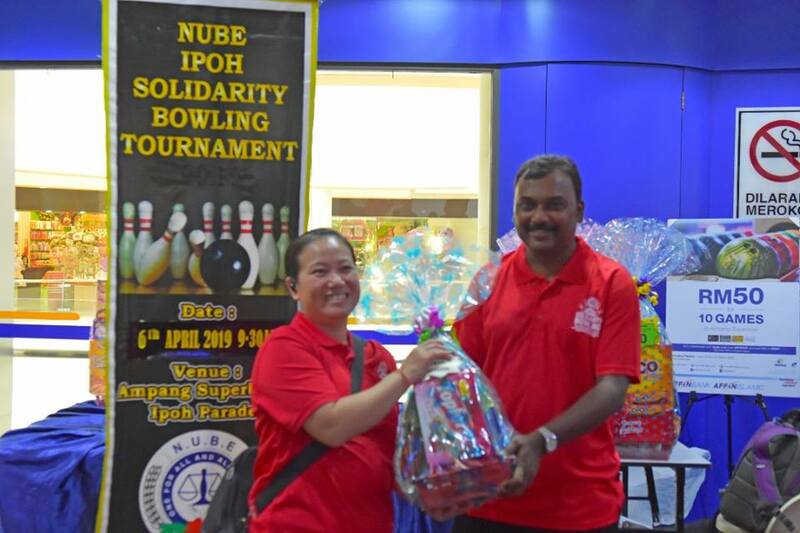 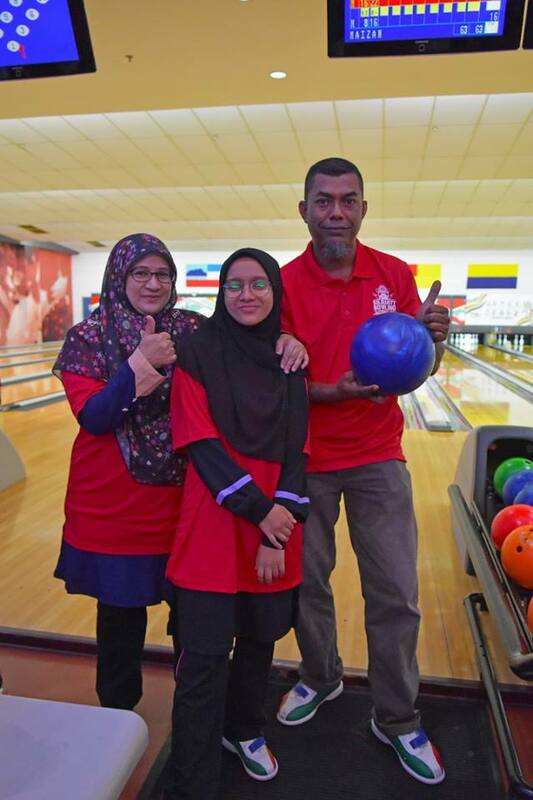 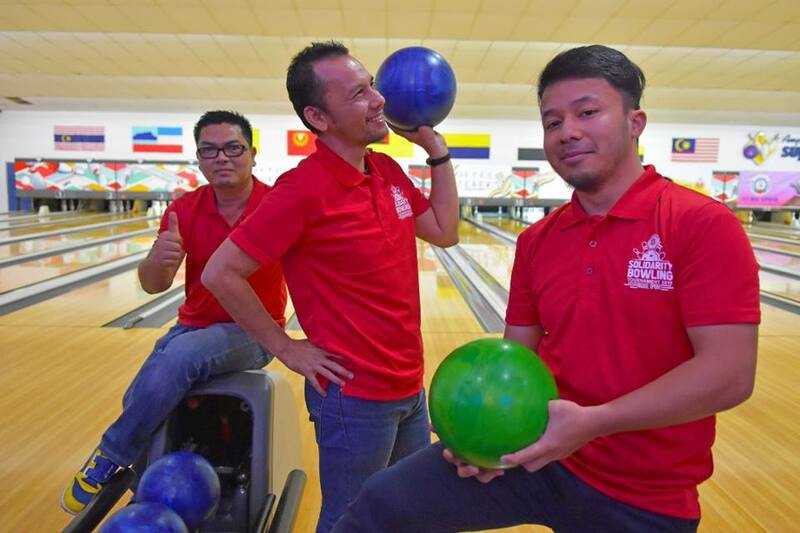 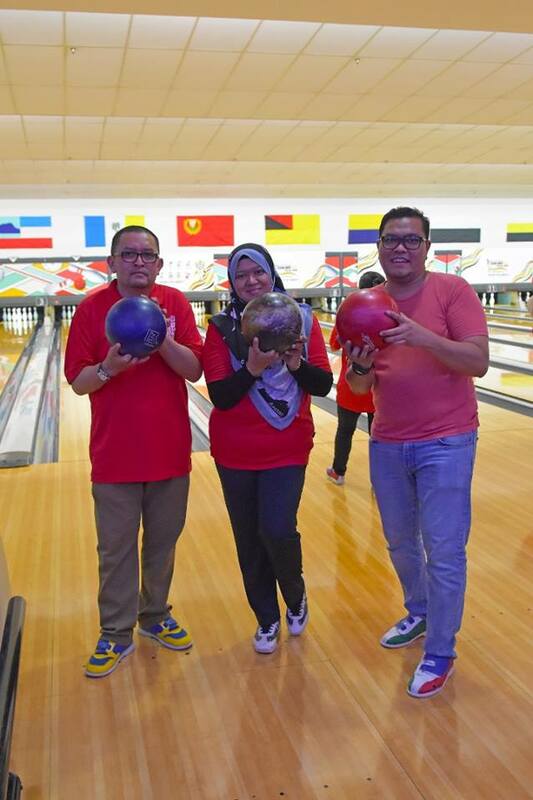 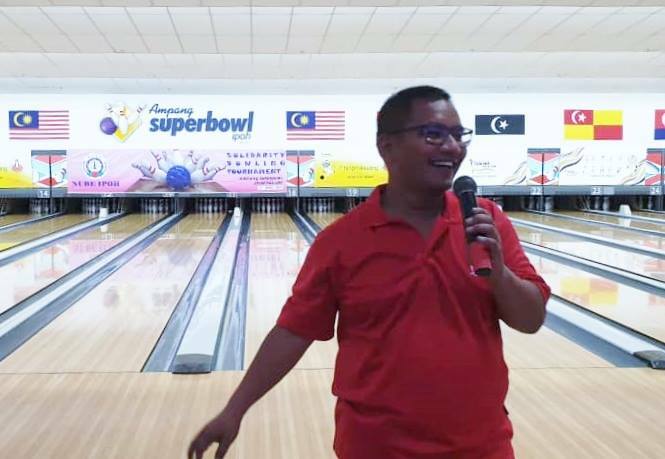 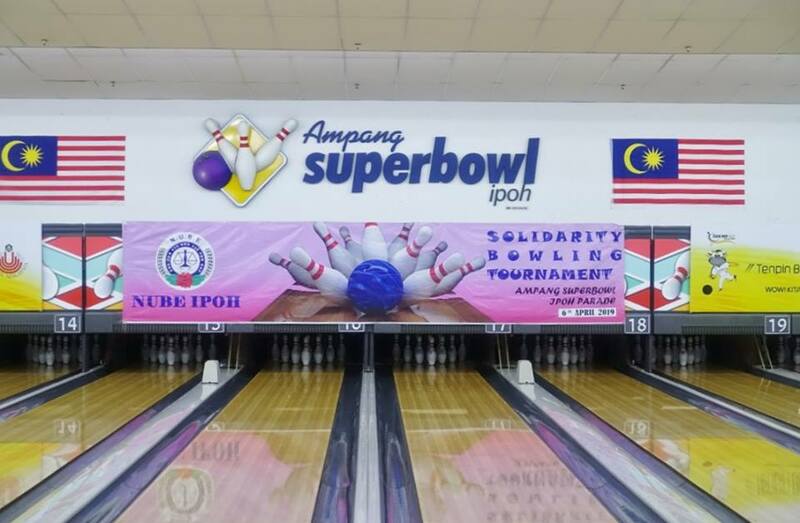 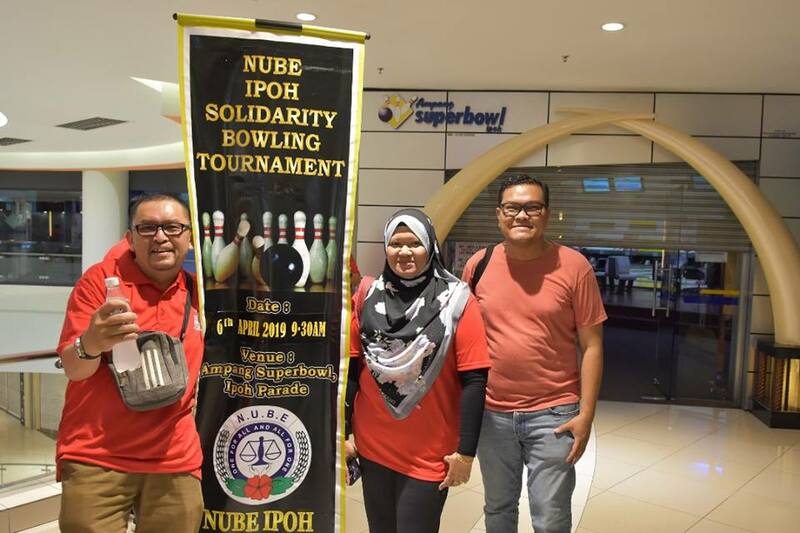 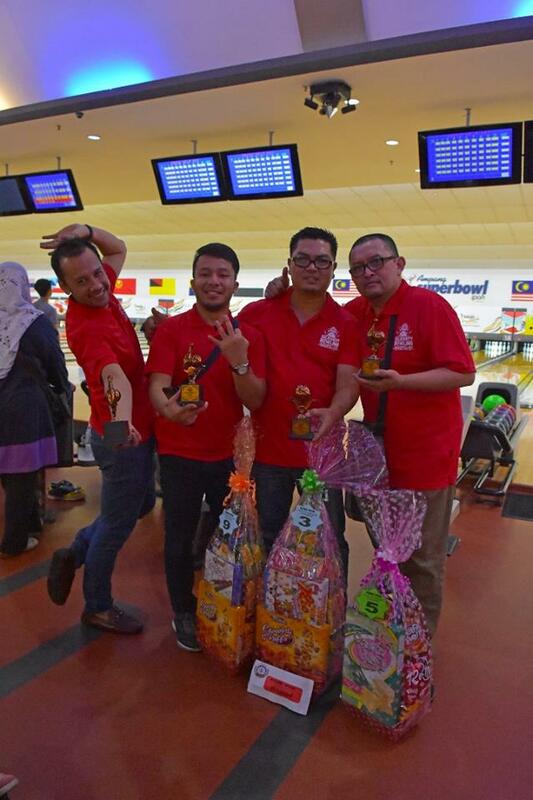 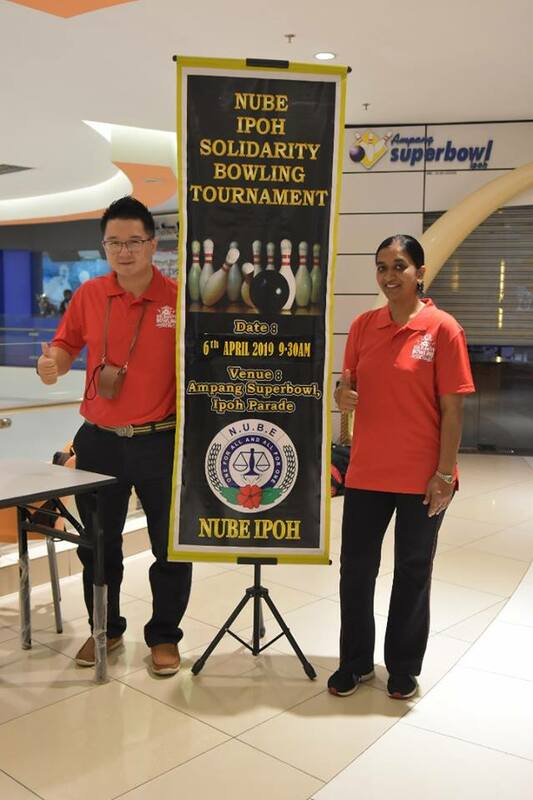 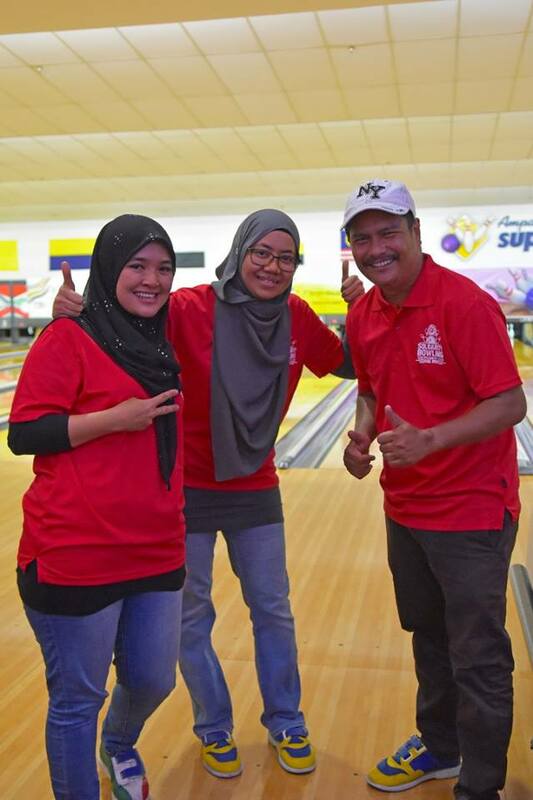 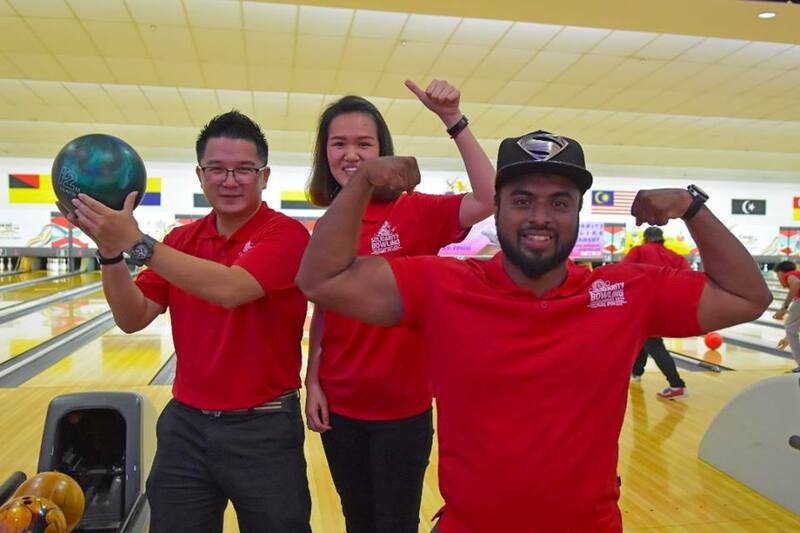 A Solidarity Bowling Tournament was organised by NUBE Ipoh Branch at Ampang Superbowl, Ipoh on 6th April 2018. 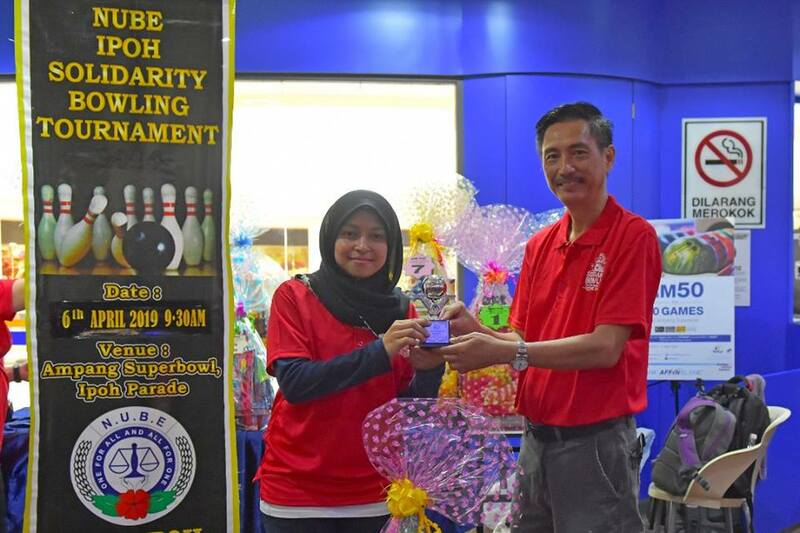 The tournament was officially opened by the Branch Secretariat who rolled the first bowling balls. 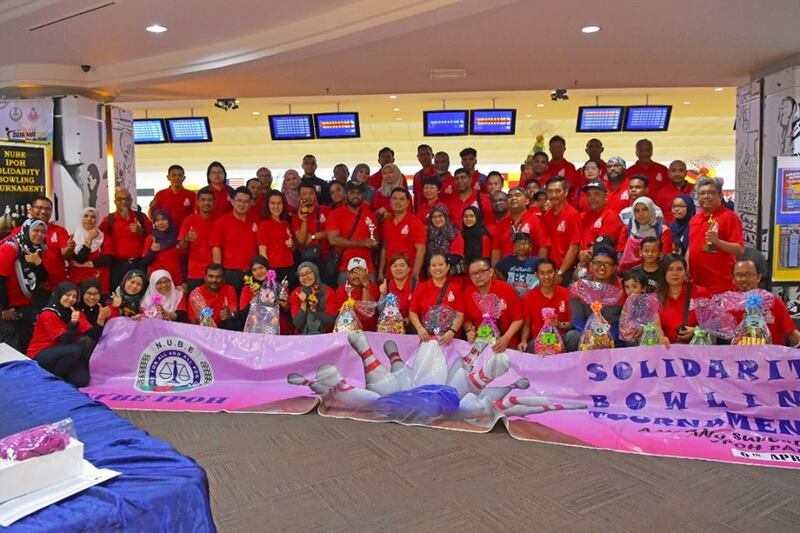 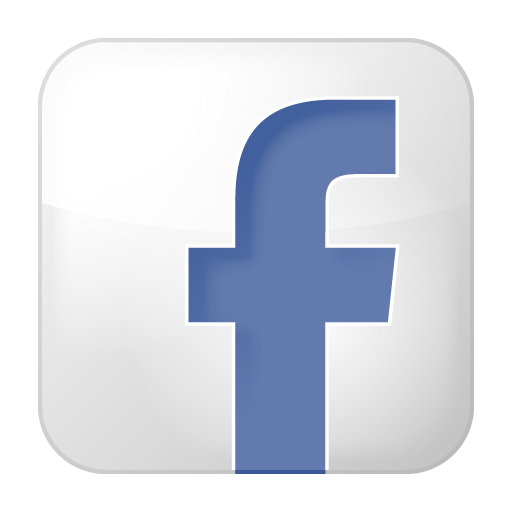 This annual event brought together members and their families to enjoy themselves on a Saturday morning. 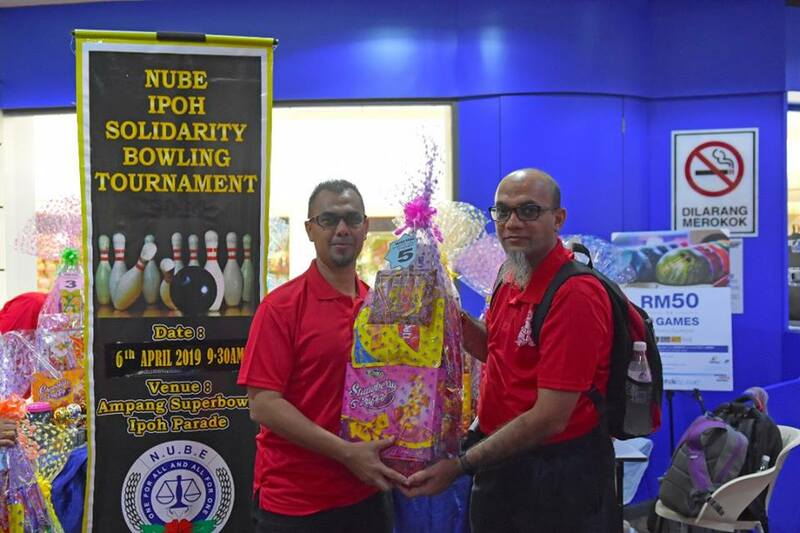 Other than the prizes awarded to the winners, there were lucky draws and light refreshment was also given to all participants in this fun filled tournament.